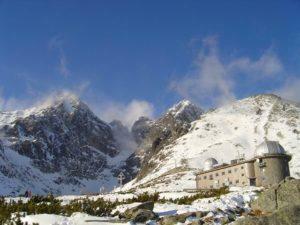 It is a beautiful, mountainous country in Europe that has an amazing history. Slovakia was once integrated with Czechoslovakia but political differences persuaded a split and Slovakia became an independent country. The capital of Slovakia is Bratislava and the government runs on a Parliamentary system. Multilevel marketing has become a popular way for Slovakians to start a business without a huge investment. In today’s post, we are going to look at the top 10 MLM companies in Slovakia. I will put the company website in the reference section if you may be interested in starting a home based business or just trying their products. I will start with #10 and work up to the #1 MLM company in Slovakia. But first, check out this cool Slovakia video. This Switzerland based direct sales company is extremely popular throughout Europe. Founded in 1930, SwissJust markets and sells cosmetics and aromatherapy products via independent representatives. In Slovakia, the company is known as Just. Founded in 1973 and based in Norwell, Massachusetts, PartyLite is known for its marvelous smelling candles and other home décor items. The PartyLite MLM opportunity has become a hit in Slovakia and you will surely see PartyLite items in many homes. Raypath International was founded in 1994. The headquarters are in Poland, but there are also offices in Slovakia. Using direct sales, Raypath offers a great supply of environmentally friendly cleaning agents. For using to clean the home, car, office or anything else, you know it is safe for your family and pets. When Wendy Lewis and Randy Ray founded Jeunesse in 2009, I bet they would not have even predicted how quickly the company would grow around the world. With various age-defying products, Jeunesse is based in Florida but has a huge following in Slovakia. Yes, there are Herbalife suppliers in Slovakia. This MLM company that was founded by the late Mark Hughes in 1980 sells various dietary supplements and weight loss products. Herbalife is headquartered in Los Angeles, California but as you can see, can be found all over the world. Nu Skin was started in 1984 and is based in Provo, Utah. There are many Slovakian independent Nu Skin representatives who sell the various personal care and dietary supplements that Nu Skin manufactures. The Aloe Vera and Bee derived products manufactured by Forever Living are favored in a huge way in Slovakia. Forever Living was founded by Rex Maughan in 1978 and is based in Scottsdale, Arizona. They continue strong revenues in Slovakia and other European countries. Amway easily holds the number 3 spot in Slovakia. One of the largest MLM companies in the world that has a huge variety of products, Amway has helped many Slovakians get financial independence. I really could not determine between these 2 who should be #1, so they both get the honors. And both companies have similar products… Cosmetics. Women in Slovakia just love them both. Founded in 1963 by Mary Kay Ash. Mary Kay is headquartered near Dallas, Texas and is loved in Slovakia. Based in Stockholm, Sweden, Oriflame was founded by brothers Jonas af Jochnick and Robert af Jochnick in 1967. Oriflame continues to carry a strong presence all around Europe. I hope you enjoyed this top 10 MLM companies post in Slovakia. Do you agree? If not, please tell us your thoughts in the comment area below.